Yay! Check your emails if you're an Influenster member! 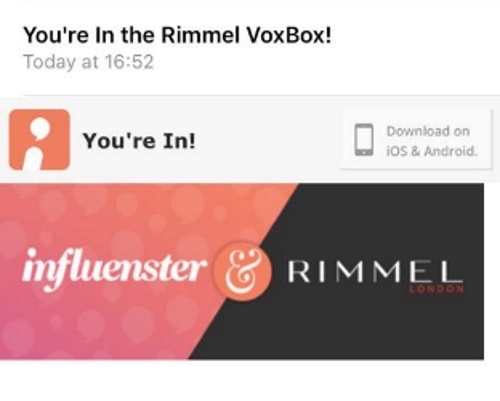 I got into the latest Rimmel Voxbox campaign! I was notified by email that I will be getting the you'll be receiving the Rimmel London Shake It Fresh Mascara and the Only One Matte Lipstick!